I’ve been talking to another blogger fourhillsfarm64 about the legacy of being a child who has grown up and lived with the long-term disease and death of a parent (or loved one). I’ve covered some of my own thoughts and experiences on this in previous posts. My father was disabled and horribly ill for most of my life, from the age of 10 to 45. I got so hardened to grief, shock, sadness. I grew an emotional shell so that I could crawl, tortoise-like, through the everyday awfulness. Yet a line of poetry, a word in a book, a certain song; hearing the echoes of a late evening train going away in the distance. Then the shell might crack. Then the stupid tears might soak my face and hair in silent senseless weeping. Lying in my small box room, overwhelmed with a helpless, hopeless feeling that elsewhere, Life was happening. That something important had been taken away from me, before I’d even got the chance to know what it was. A shell can offer good hard protection in life. But it also hardened me to the misfortunes of others. Harsh but true of me. Although I don’t like to admit it. 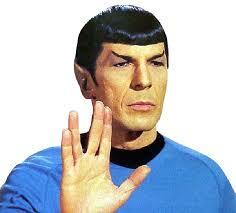 I thought I was like Spock. I mustn’t show emotion. Emotion equalled weakness. And weakness meant I’d be unable to carry on. In my young adulthood it meant I was probably not a very good friend to those who needed my warmth and friendship. It’s been hard for me to soften up, and to understand what I lost — and the shell I gained. These days I can be moved to tears when I see or read about human kindness and compassion. All it takes is friendly word at a sad moment. An unexpected offer of support. And I’m suddenly human after all. 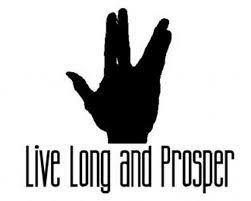 But hey, thanks Spock. You are, and always will be, my friend. I’ve always been awestruck that people with childhood trauma can create healthy adult lives. I mean, it’s one thing to have catastrophe strike when you’re a grownup and have a reasonably strong, stable identity–to integrate it into an already existing self–and another to have the catastrophe be one of the things that forms you from the ground up. How lovely to age and outgrow (with due gratitude) a childhood hero. Thank you Stacy. I loved that Eyebrow: it spoke a Nemoy soliloquy all on its own. Although I wouldn’t say I was a particularly healthy person (emotionally) my experiences certainly mean I never take good health for granted. Every morning I wake up and I am well, and the children are well, and my husband is well, is like a celebration for me. Every time I walk with my son and we go out of our way to step on a crunchy leaf, or when I run down the beach to splash in the sea with my daughter, tears leak out of my eyes because I am so lucky to be Able. And my children can enjoy being with a parent who is Able. And health is a gift. I am passing this onto my children, I hope. Along with trying to show them that feeling emotion isn’t a weakness. ← Round Seventeen: The tent is going up and the prices are coming down.